Since its founding over 85 years ago, CenturyLink has been committed to corporate social responsibility (CSR). The company believes positively impacting society and the environment isn’t just smart — it’s also good business. It leaves the world better than it was; leads to conscientious economic developments; and improves quality of life for employees, customers, and society as a whole. CenturyLink’s current CSR efforts emphasize three areas: philanthropy, sustainability, and collaboration. The three often work in concert, as the company understands that long-term, positive results occur through a multi-pronged approach rather than a singular initiative. What follows is a closer look at a few of CenturyLink’s recent CSR initiatives, as well as the impact they’ve had on local and global communities. 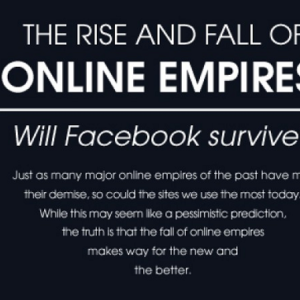 CenturyLink believes that permanent change arises from within communities themselves. As such, the company has invested in several outreach efforts that offer assistance to area communities and catalyze transformation from the inside out. Here are a few of those efforts. The Backpack Buddies Food Drive, an annual and national online food drive, takes place every summer. In the 2016 drive, CenturyLink supported more than 140 food banks in U.S. communities. Through combined efforts from area support networks and the CenturyLink Clarke M. Williams Foundation, the company helped raise more than $1.6 million during the food drive — an amount that translates to nearly 10 million nutritious meals for at-risk students and other community groups. 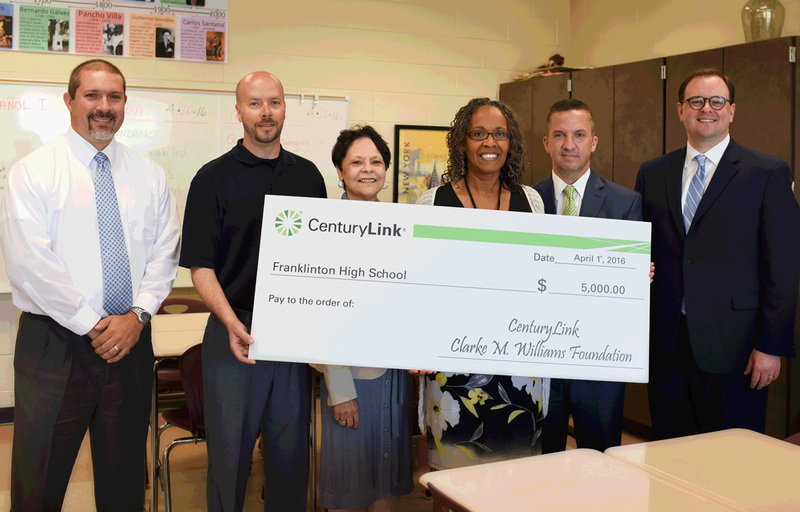 CenturyLink backs several grants, including the Clarke M. Williams Foundation’s Teachers and Technology Grant. The grant helps recognize teachers who strive to embrace new technology in their classrooms. Thus far, hundreds of these grants have been awarded to outstanding teachers nationwide. Another CenturyLink grant, The Matching Time Grant, supports employees’ volunteer efforts in their local communities. If an employee volunteers 40 hours or more with an eligible nonprofit organization, they can earn a $500 grant for that nonprofit through their efforts. 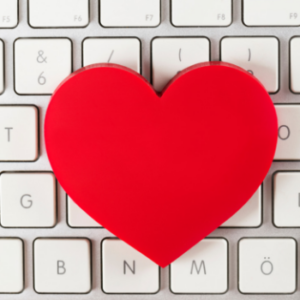 To date, CenturyLink has awarded nearly $400,000 in these grants to match employee efforts. CenturyLink often partners with local organizations for greater positive impact. In 2014, the company entered a partnership with Mile High United Way to fund their 2-1-1 Help Center, a service that connects people in the community with support and resources. CenturyLink continued its financial support in 2015 through a joint initiative with Denver Broncos player Emmanuel Sanders. For every 211 yards Sanders gained during games, CenturyLink donated $1,000. Going one step further, the company tacked on another $2,110 every time Sanders went over 211 yards per game. The partnership was hugely successful, raising both money and awareness about the program. Developing strong neighborhoods has always been a part of CenturyLink’s mission, which explains the company’s consistent support for employees to get involved with their local communities. 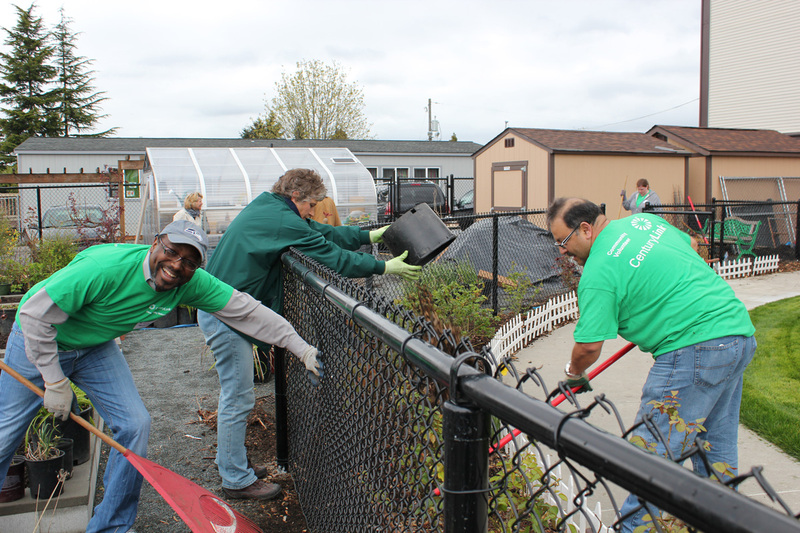 This volunteer-oriented attitude was emphasized in CenturyLink’s 85th anniversary last year — employees celebrated the occasion through completing 85 community volunteer projects nationwide, ranging from building homes with Habitat for Humanity to walking dogs to help local shelters. CenturyLink’s affinity for charitable actions doesn’t stop with donations and volunteerism — it also includes educational efforts. 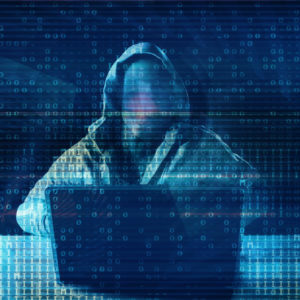 In 2014, CenturyLink launched an Internet security blog to help consumers combat increasing cybersecurity threats. The company also works with nonprofit partners to provide basic computer and Internet training sessions to help community residents access healthcare, employment, and other services. CenturyLink’s sustainability initiatives seek to improve stewardship over natural and technological resources, and to develop innovative solutions to emerging environmental challenges. And while external influences like government regulations and growing consumer demand play a role in CenturyLink’s commitment to sustainability, they aren’t primary drivers. CenturyLink has always pursued socially and environmentally conscious avenues to produce a better quality of life. Here are a few ways the company has invested in sustainability. The CenturyLink Technology Center of Excellence is a revolutionary, tech-savvy work hub with extensive networking infrastructures and plenty of open, collaborative office space. The building echoes the company’s commitment to other eco-friendly solutions; the building’s sustainable design promotes high efficiency while simultaneously creating an indoor ambiance conducive to productivity and teamwork. 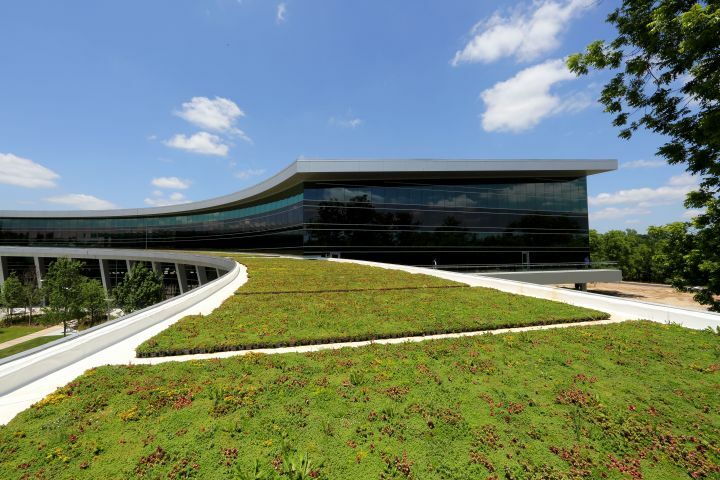 The center also features a green roof that grows over 20 types of vegetation throughout the year, and the carpet and furniture are completely recyclable. Glass elements in the building have electrochromic glazing, which uses nanotechnology and machine learning to automatically adjust tint to environmental conditions and user preferences. CenturyLink’s promise to sustainability continues with the U.S. Department of Energy’s Better Buildings Challenge. The initiative focuses on creating energy efficient solutions and accelerating corporate and government investments in them. CenturyLink’s part in the program shoots for a 25% decrease in a portion of its U.S. data center load energy consumption by 2023. Safe and secure recycling reigns at CenturyLink. Over 8.5 million pounds of electronic and telecommunications equipment were diverted from landfills and recycled in 2015. Waste management efforts don’t end there, though — the company recycles paper, too, after securely shredding all important documentation. In the last year alone, CenturyLink sustainably handled millions of pounds of paper, offsetting the destruction of almost 30,000 trees. CenturyLink also lessens its environmental impact through smart procurement programs. These include EPA Smartway, a program that rewards partners who reduce carbon emissions in their transportation processes; the Telecommunications Energy Efficiency Ratio (TEER), a metric that measures network energy consumption to ensure greater efficiency; and the Set-Top Box Energy Conservation, which promotes greener, more affordable TV boxes. CenturyLink’s alternative energy projects have grown substantially over the years. Recently, for example, the company installed Bloom Energy fuel cells at a California data center. The cells produce over 4 million kilowatt-hours of clean electricity each year. CenturyLink also has 30 grid-less solar sites, which can generate thousands of watts of power. Another of the company’s newest alternative energy initiatives occurred just last year in partnership with a Kansas City power utility: the pair installed multiple Level 2 ChargePoint car-charging stations at one of CenturyLink’s Kansas sites. These powerful stations can provide charging power to more than five electric cars at once. CenturyLink’s commitment to collaboration, inside and outside the company, complements its devotion to charity and sustainability. Through collaborative partnerships, CenturyLink solves problems faster and engages employees, suppliers, customers, and other businesses in sustainability efforts. This open approach sets CenturyLink apart from competitors; few other companies believe so strongly that sharing ideas, information, and discoveries can benefit all parties. Below are a few of CenturyLink’s most prominent collaborative efforts. CenturyLink works in tandem with other telecommunications companies, through the Alliance for Telecommunication Industry Solutions (ATIS), to research and develop more eco-friendly equipment and devices. The company also participates in the ATIS Exploratory Green Group, sharing and developing greener management practices across the industry. CenturyLink upholds transparent communication with customers, shareholders, and employees about its environmental impact. As part of that commitment, the company submits a carbon report to the Carbon Disclosure Project every year. The goal of the report is to provide data to decision makers — including business partners and corporate management — to inspire actionable dialogue about climate change. Nicknamed “The Green Team,” CenturyLink’s Environmental Sustainability Council identifies and prioritizes green initiatives company-wide. A few ongoing efforts include electronic recycling programs, energy conservation, and freight emission reduction. Employees can also suggest new green projects, as CenturyLink has an internal “Going Green” portal for idea submission. In addition to working on projects that address sustainability at large, the team also focuses on natural disaster awareness and recovery. CenturyLink places great value on minimizing its impact during climate-related natural disasters. CenturyLink hasn’t given an official title to its partnership with customers, but the company facilitates green living in a couple of ways. The first is online billing, which reduces paper waste even as it makes payments quicker and easier — a benefit that many customers have been eager to embrace. The second is CenturyLink Smart Home, a remote home management system that can help customers reduce their environmental impact and save money. Subscribers can use the system to ensure eco-friendly energy usage by adjusting thermostat settings and programming lights to turn off when not needed. The final piece is CenturyLink’s products and services. Through gigabit Internet, managed hosting, and additional Cloud services, customers can lessen their reliance on carbon-heavy transportation for both business and leisure. These technologies allow users to easily interact with people all around the world — without ever having to leave their home or workplace. Government regulations and environmental challenges will change according to environmental conditions, but CenturyLink’s commitment to corporate social responsibility through charity, sustainability, and collaboration will not. CenturyLink will stay its course and, by doing so, will create innovative solutions that advance employees’ work lives, the communities it serves, and the world.